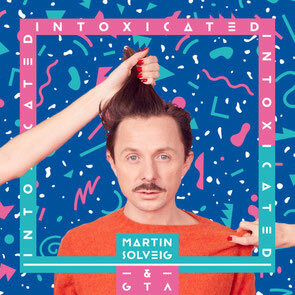 Following a hiatus towards the end of 2014, Martin Solveig is back with his latest production. Having spent the last few months in his Parisian studio honing a new-fangled ‘Solveig sound’, the Frenchman now returns with the next chapter in his career. With plans for the year ahead including a recently announced return to Coachella in April, Solveig’s latest track, ‘Intoxicated’, takes you back to the club with this Beatport exclusive release via Spinnin’ Records. Having hit #1 on the Hype Machine Charts on the same day of its release, you can now check out the official music video right below. An collaboration with Miami based duo GTA, the release is a decent club track to kick-start a brand new chapter for Martin, as he looks to fuse his sound with a pinch of ‘Future House’ innovation.